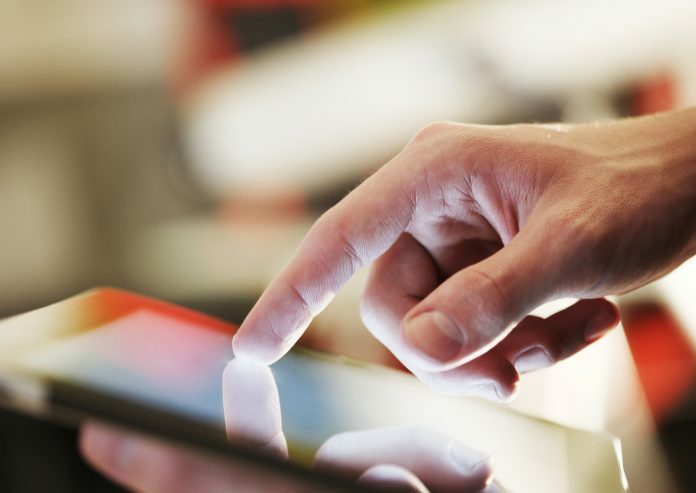 There are so many tablets on the market today that making a decision can be difficult. The key to narrowing down your choices is to look at each tablet's specific features. Think about what you want to do with your tablet and buy one based on that. If you’re looking to capture high-quality videos and pictures, or even slow-motion videos, you can look for a tablet with those features. If storage is your main concern, you’ll probably want to look for a tablet that allows you to expand its storage capacity with a microSD card. Another good way to shop for tablets is to buy a tablet from a well-known brand. You’re rolling the dice if you go for the cheapest tablet you can find from a brand you’ve never heard of, but you know a tablet from one of the popular brands will live up to your expectations. LG is one of the top brands when it comes to electronics, and although it doesn't make the LG-V410 tablet anymore, this device is still a good option if you’re looking for a powerful tablet with a great display. Although the LG-V410 is discontinued, you shouldn’t have too much trouble finding a store that sells it. 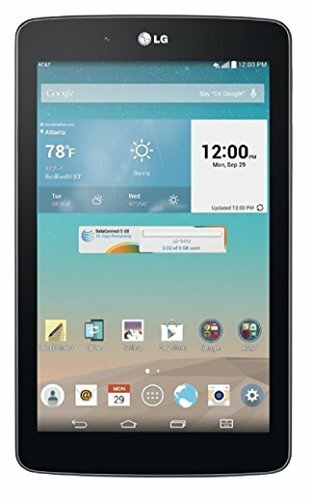 This tablet retails for about $100 brand new but can also be found used at various locations. If you’re considering purchasing the LG-V410 and want to know more about its features and specifications, check out this review to find all the information you need. To know whether a tablet is good or not, you need to know what makes a solid tablet. The first thing you’ll notice with any tablet is its display and build quality. If a tablet looks and feels nice on the outside, that’s a huge plus. 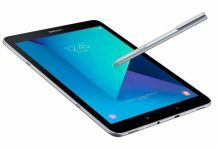 The next features you’ll want to worry about are the processing power and storage capacity of the tablet. Most tablets come in sizes of eight, 16 and 32 GB, but the most important thing to look for when it comes to storage is microSD expandability. Most tablets that have microSD slots allow you to use cards with up to 256 GB. 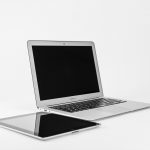 As for processing power, you’ll want a tablet with plenty of RAM and a good processor, which means a dual-core or quad-core with a high clock speed—preferably one above 1.5 GHz. The camera is another huge factor when it comes to buying a tablet. This is especially true if you’re buying a smaller tablet or one with LTE since there’s a good chance you’ll be traveling with your tablet. Look for at least a five MP camera that can capture HD pictures and videos. Possible additional features include LED flash, slow-motion or 60 FPS video capture and auto image stabilization. The LG-V410 has a 7” HD+ IPS display with a resolution of 1280 x 800. IPS screens offer much better viewing angles than older TN screens do, and they have a generally cleaner look overall. Couple that with the high resolution and you get videos and images that look great despite the smaller screen. As far as the overall size of the tablet goes, the LG-V410 is 7.45 inches tall, 4.48 inches wide, and 0.39 inches thick. This is pretty normal for a tablet of this size, but it should be noted that the V410 uses a slightly larger bezel compared to other 7” tablets. 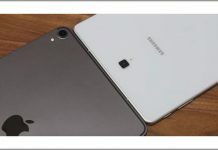 Because of this, the tablet has a sort of bulky appearance that almost makes it look like a kids' tablet, although the rest of the sleek design makes it look more suitable for adults. Despite its looks, the LG-V410 weighs in at only 10.4 oz with a pretty hefty battery, which is an impressive feat to accomplish. As far as processing power goes, the LG-V410 definitely delivers. No matter what you’re trying to do — whether it's watching HD video or playing your favorite game — you shouldn’t have any issues with the V410. The processor in this tablet is a 1.2 GHz quad-core Qualcomm Snapdragon 400, which can easily handle any tasks on your tablet. The memory in the LG V410 leaves a bit to be desired, however. There is only one GB of RAM in the V410, and LG doesn’t specify what kind of RAM it actually is in terms of DDR. This isn’t necessarily a big problem when you’re dealing with day-to-day operations, but you may run into some issues if you’re running a particularly demanding app. As important as processing power is, you also need ample storage to make sure you can actually enjoy the features of your tablet. If you don’t have enough storage, you’ll have to delete apps, photos and videos every time you want to store something new. Ideally, you should have at least 64 GB of storage in your tablet, although that isn’t necessary for everybody. The LG-V410 comes with 16 GB of internal memory, but you can only use about 11 GB of it—the rest is reserved for operating system files. You can expand your storage with a microSD card, although only cards up to 32 GB are supported. You will also have to buy a microSD card separately as the tablet doesn’t come with one. Still, with a total of about 40 GB of user storage, you should have enough space to use your tablet freely. While battery life isn’t a big concern for every tablet user, many people buy tablets so they can have a portable version of their computer. Ironically, the tablets with the most powerful batteries are usually the largest tablets, which aren’t quite as portable. When you shop for a smaller tablet like a 7” or an 8”, you want to take a close look at the battery to make sure it will serve you well. The LG-V410 has a fairly powerful 4,000 mAh battery that is rated for 24 days and 22 hours of standby time. While you shouldn’t expect to get this much battery life out of your LG-V410 when you’re using it, it’s nice to know that you can leave it on for more than three weeks when it’s fully charged. A talk time of 10 hours means you can expect to get a decent amount of battery life out of your LG-V410 even when you’re actively using it. This time will vary depending on your brightness settings, the age of your tablet and whether you’re listening to music or watching videos. Keep in mind that your battery will degrade with time, so you can’t expect your tablet to maintain the same battery life over several years. If you notice that after a year your tablet isn’t lasting quite as long as it used to, know that this is a completely normal occurrence with lithium-ion batteries. While most people shop for tablet and phone cameras based mostly on the megapixel rating, you should actually be looking at a lot more than that when you buy your tablet. There are tons of different tablets with the exact same megapixel rating, but that doesn’t tell the entire story. You also need to know the resolution at which a camera takes pictures and videos, the framerate at which it shoots videos and the features it has to help you capture high-quality media. The LG-V410 has two cameras: a front-facing camera and a rear-facing camera. The rear-facing camera is five MP and can capture pictures at resolutions up to 2560 x 1920. The front-facing camera is mainly used for video chatting and taking selfies, so it isn’t nearly as powerful. Still, it is a 1.3 MP camera with a soft light setting, so you can get the optimal lighting for your photo despite the lower megapixels. What really makes the LG-V410 camera special, though, are the additional features. All of your pictures and videos can be automatically geotagged for you, so you will know exactly where you were when you made that precious memory. There are two different shot modes for you to select between: panorama and auto. The panorama mode allows you to pan with your phone to take a wider picture so your camera can capture everything that you see. When you’re making videos, you can use the pause button to stop your recording until the action resumes. When you’re finished filming and hit the stop button, all of those recordings will be combined into a single video file. This is a great feature because it allows you to get all the action you need to capture over the course of a few hours without simply shooting a three-hour video. The last feature you’ll find on the LG-V410’s camera is the ability to take still shots while you are recording live video. This lets you capture high-quality pictures without having to pause the video and take a screen capture of it. Fully Compatible with AT&T. Other GSM provider need to check with the network provider for compatibility of the device.Does not work with CDMA Carrier like Verizon or sprint and so on. While it’s far from the most important feature of a tablet, app availability definitely plays a role in how useful a tablet is. Third-party apps can allow you to customize your device and make all of your day-to-day tasks easier, whether you frequently need a calculator close by or hate lugging around your laptop to read recipes. The LG-V410 comes with Android 4.4 KitKat installed, which means you have access to all of the apps on the Android market. Instead of downloading your apps from the App Store like you would with an Apple device, you get all of your apps for the LG-V410 from the Google Play store. While there will definitely be some apps in the App Store that aren’t available in the Google Play store, you shouldn’t have a problem finding most of the apps you need. There are also suitable replacements for any App Store apps you can’t actually find. Before purchasing an LG-V410, make sure there aren’t any apps you need that aren’t available in the Google Play store. If you’re buying your tablet for one specific purpose and you can’t even download an app to use it for that purpose, then the tablet is not much use to you at all. While you should never buy anything based purely on what other consumers have to say about it, it’s always a good idea to read some reviews to get an idea of the problems a product has. Make sure you are reading real reviews from trusted websites only, as there are numerous websites out there where users write fake reviews to make products seem like they are better than they really are. As far as public opinion goes, people have mixed things to say about the LG-V410. CNET gave the V410 an unimpressive rating of 3 out of 5 stars, citing its lack of internal storage and the fact that the screen takes a long time to rotate when you turn the tablet. The V410 has a rating of 3.8 out of 5 stars on Amazon and 3.5 out of 5 stars on PCMag. Overall, it seems like people have some good things to say about this tablet. Price should never be your main consideration when buying a tablet, but you obviously can’t buy anything that’s outside of your budget. The LG-V410 has actually been discontinued by LG. This isn’t the best price you’ll find for a 7” tablet, but you should be able to pick one up for less than that by now. 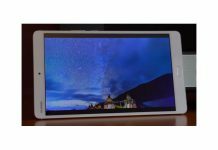 If you want to buy this tablet used, you can save even more money. 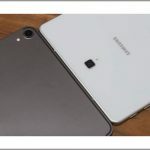 For a similar price to the LG-V410, you can buy the Samsung Galaxy Tab A 7.0” or another similar tablet. That’s not to say you shouldn’t purchase the V410. After all, it still has some really great features. However, you might want to compare a few different options if you’re considering buying the V410. 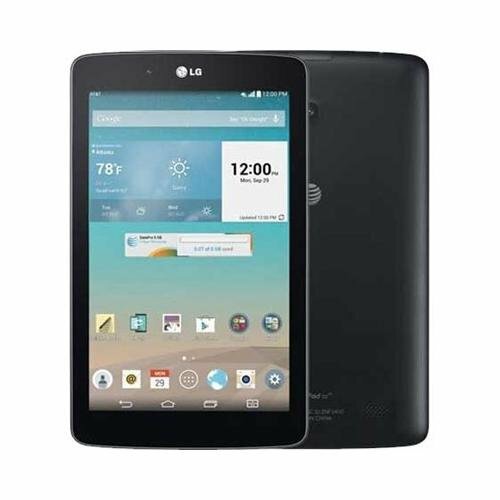 The LG-V410 tablet is 1.2 GHz quad-core Qualcomm Snapdragon 400 and 16 GB of internal memory, However the LG-V410 is already discontinued by the manufacturer.